Bajaj brings down the price of Pulsar 135LS to Rs. 57,494 making it one of the most affordable Pulsar yet. In lieu of the rising competition, Bajaj slashed the price from Rs. 62,000 (ex-showroom, Maharashtra). Since the demand for commuter bikes is on a rise, the competition is getting tougher as well. Bajaj Pulsar 135LS’s closest competitors, namely; Honda CB Shine and Hero Glamour are priced at Rs. 59,684 and Rs. 55,212 respectively therefore, this move will help Bajaj gain some attention as well. Bajaj Pulsar 135LS is a commuter bike that uses a 135cc DTSi engine with 4valves. This engine has a capacity of churning out a power of 12bhp at 9000rpm whereas the maximum torque that can be achieved by this engine is around 11.4Nm at 7500rpm. The engine of the Pulsar 135LS comes mated to a 5 speed manual gearbox. Giving confidence to the rider, this bike is offered with 240mm front disc brakes and 130mm rear drum brakes. While Bajaj Pulsar 135LS price was slashed, a new color is also added to the list. The company has also added a new Cocktail Wine Red color for the bike to grab some eye balls as this color enhances the looks of the bike and gives it a pristine and sporty touch. Currently, the bike is available in Midnight Black and Plasma Blue color options. Bajaj Auto sold about 77,464 units in May 2016 whereas Hero MotoCorp managed to sell 75,621 units followed by Honda that sold 70,858 units in the 110 – 125cc category. 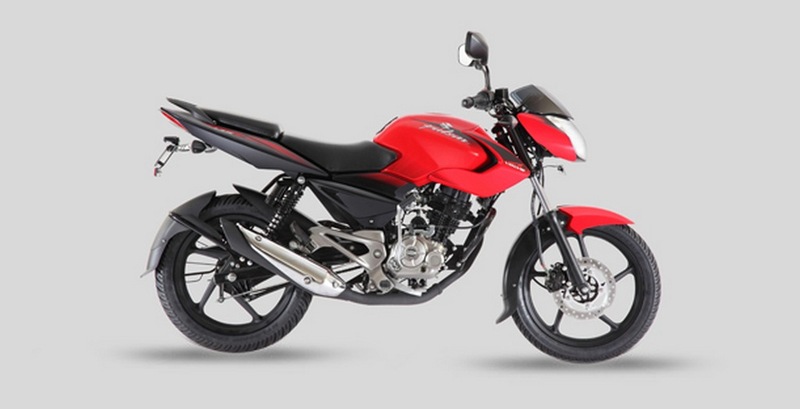 Honda CB shine is the favourite and has seen a rise in terms of sales. With the Bajaj Pulsar 135LS price slash, Bajaj is trying to woo the consumers. But whether this strategy pays off or not, watch this space for further updates.